Samsung Galaxy S5 specs break cover | What Hi-Fi? After seeing Apple tread new ground by offering both a metal and plastic iPhone – the iPhone 5s and 5c respectively – it now appears that Samsung will follow a similar path with its new Galaxy S5 smartphone. The SamMobile website is reporting that the successor to the Galaxy S4 is indeed going to be available in two versions, with the metal model costing €800 (£660) and its plastic counterpart at around €650 (£540). Not only that, but we'll be seeing the Galaxy S5 feature a 2560x1440 AMOLED display – although a size of 5.25in is yet to be confirmed – and a 16-megapixel camera. It will run on the Android 4.4 KitKat operating system. 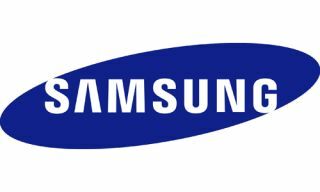 Elsewhere, the site, which seems pretty certain about its rumours, has said the Galaxy S5 will be powered by either the Exynos 6 processor or a Snapdragon 805 – but there is no word yet as to how Samsung is going to decide which processor will be used in which model. In terms of a launch date for the S5, it's unlikely that we'll be hearing anything at Mobile World Congress (MWC) 2014 in Barcelona next month. In fact, it seems as if there may be an announcement made in London in March. Samsung has held standalone events for its flagship phones of late. Italian journalist Flavio Pic tweeted earlier this week to confirm a London launch for the S5, which is then expected to hit the shelves in April. Of course, we'll be sure to update you just as soon as we get official confirmation from Samsung. SamMobile has also reported that both the Galaxy S5 mini and Galaxy S5 Zoom will be launching shortly after the S5 (June and May respectively), with both set to feature a Super AMOLED display and run on Android 4.4 KitKat. We shall see.